1. Essaouira Docks, October 2010. Once upon a time Essaouira was a major international port, a major trading post between Africa, Asia and the Americas. Now though there are few signs of those glory days as visitors are met by a drowsy vista of bobbing blue boats, tangled nets and a whole lotta fish for sale. With the sea breeze, circles of squawking seagulls and an azure-dominated color scheme, it’s an undeniably enchanting little place. What I didn’t expect to find was a lone dockside shed-café playing Eric Clapton! With a couple of plastic tables and chairs out front, it was the perfect spot to rest, order a coffee and grab this shot. 2. Essaouira Docks, October 2010. A wander through the area at nightfall is a whole other experience, the rows of fishing boats appearing to melt away like ghost ships. For some intangible reason it made me think of John Carpenter’s classic horror movie The Fog, which seemed like a good moment to scarper for dinner! 3. Portuguese Fort, October 2010. Head out to the old fort for the finest views in town, both out to sea and across the city itself. Ascending the tower and clambering into one of its stone portholes is probably the most touristic thing you can do, but sometimes you have to just go with the flow. 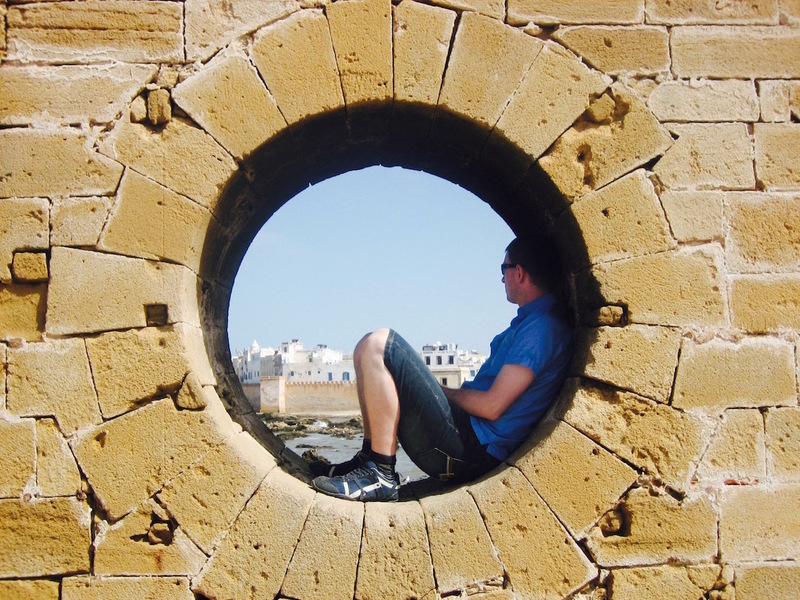 With eighteenth century fortifications extending out in all directions and an architectural amalgam of French, Roman, African and Arabic influences, Essaouira is a visual delight. In fact, it’s proved such an inspirational setting that Orson Welles came here to direct Othello, while Jimi Hendrix famously stopped by in the summer of 69. 4. Essaouira Beach, October 2010. This is one of the most windswept beaches I’ve ever experienced and indeed Essaouira is known as the ‘Wind City of Africa’. 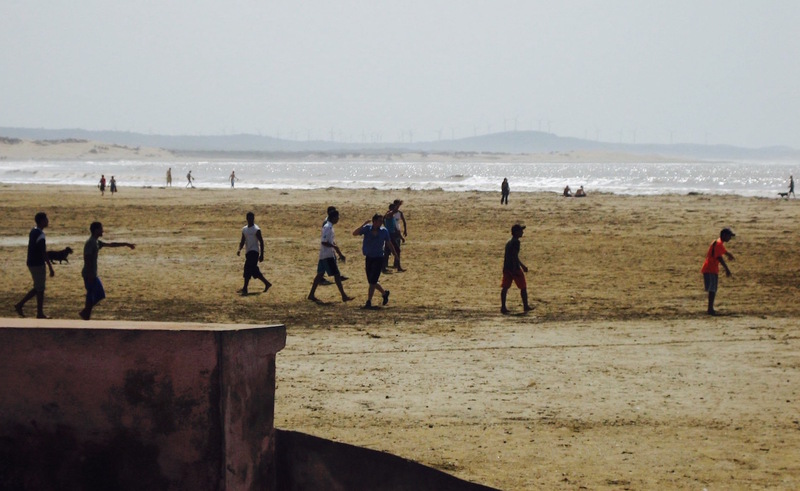 As such, people flock here to surf, windsurf, kitesurf and just about any other variation you can think of. Call me a traditionalist, but offer me a game of football and everything else fades into the background. When these locals boys invited me to join their match I didn’t hesitate for a second. They were all very skillful and it was a hotly contested kickabout, though in the end the wind won the game 1-0. 5. Moulay Hassan Square, October 2010. 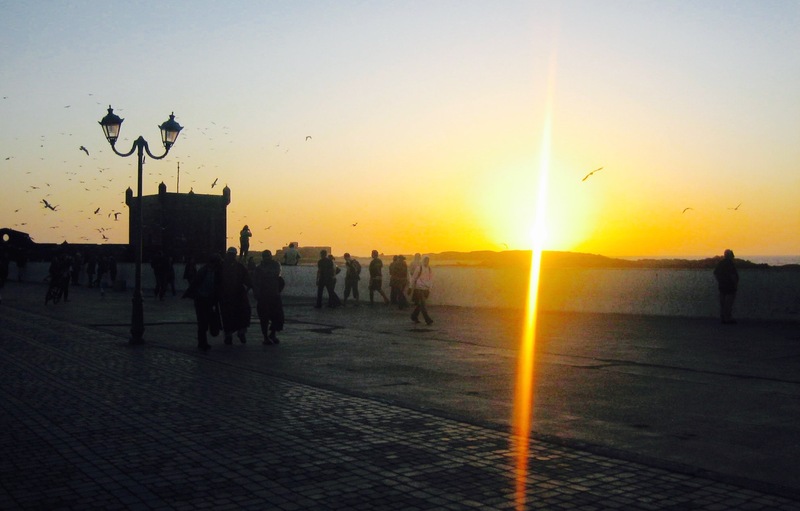 Essaouira does a great sunset! This photo was taken walking back to our guesthouse after a typically delicious Tagine dinner. The city’s most vibrant square, Place Moulay Hassan is a French style piazza home to numerous cafes, restaurants, patisseries and fish stalls. People hurry about in all directions while seagulls swoop and street cats prowl around looking for scraps. Like this? Then check out more My 5s from all around Morocco. 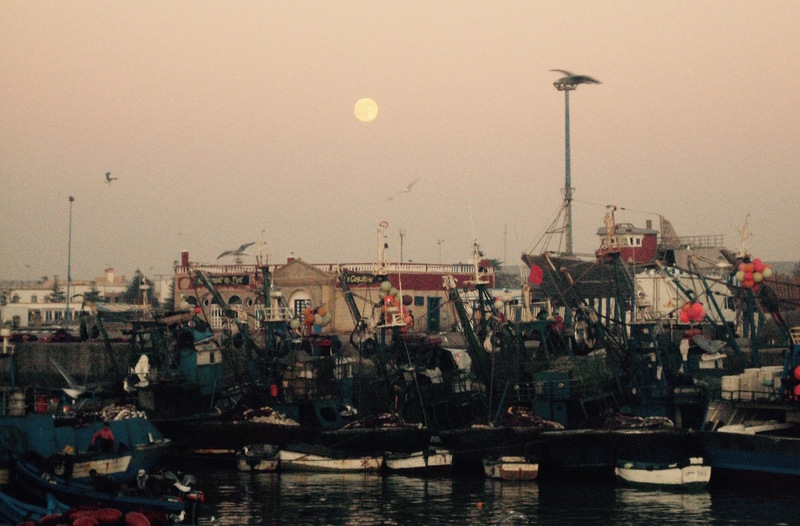 I really enjoyed Essaouira as well. Didn’t play any football though. Hey Bob, thanks for stopping by Leighton Literature. Playing football certainly wasn’t on my original itinerary! I wanna go here and find the Clapton joint.